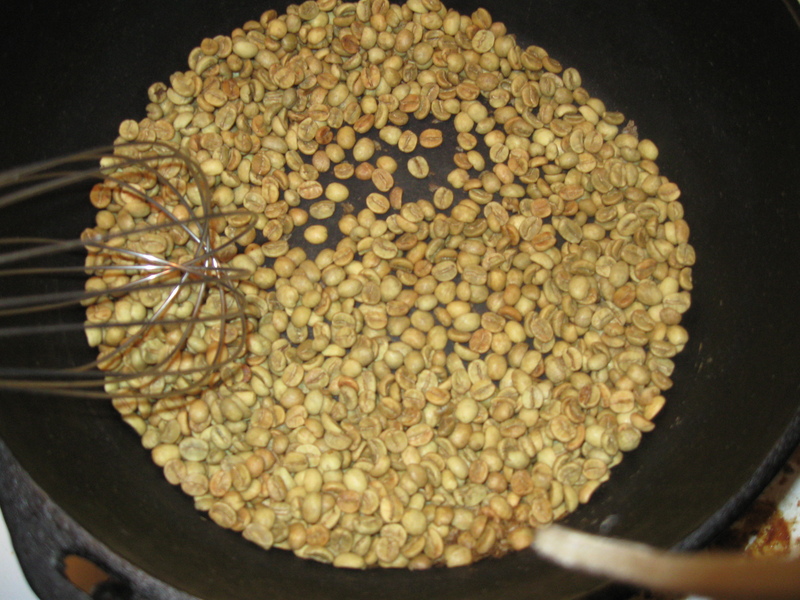 Home Roasting Coffee is something that has been done for thousands of years. 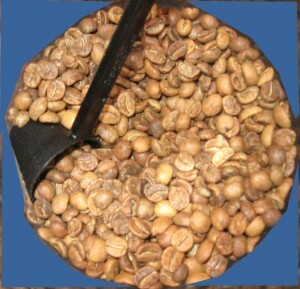 Why would we want to roast coffee in a modern world? 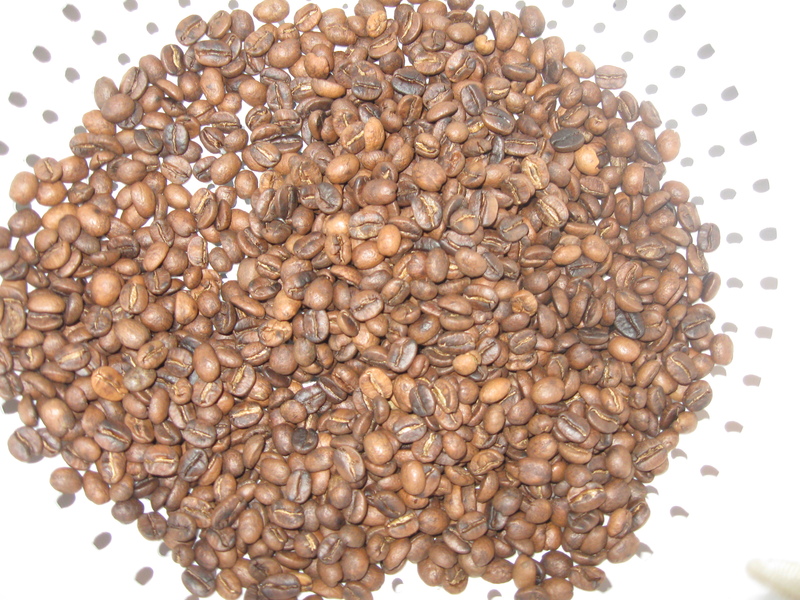 Home roasting fell out of favor starting in the late 1800’s when the companies started roasting it. Coffee will start to deteriorate once the roasting process is over. 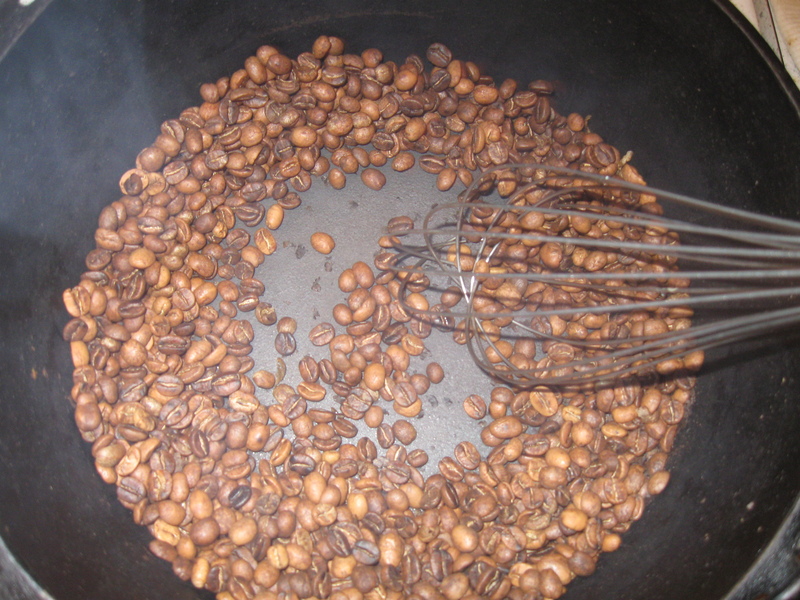 Many people consider 1 week old to be the end of fresh coffee. I have been grinding my own beans for years now, but have noticed that I am not getting fresh coffee. I found Phil’s Just Java to be a good place for some green beans. I chose the Costa Rica SHB as I have a developed taste for that region. 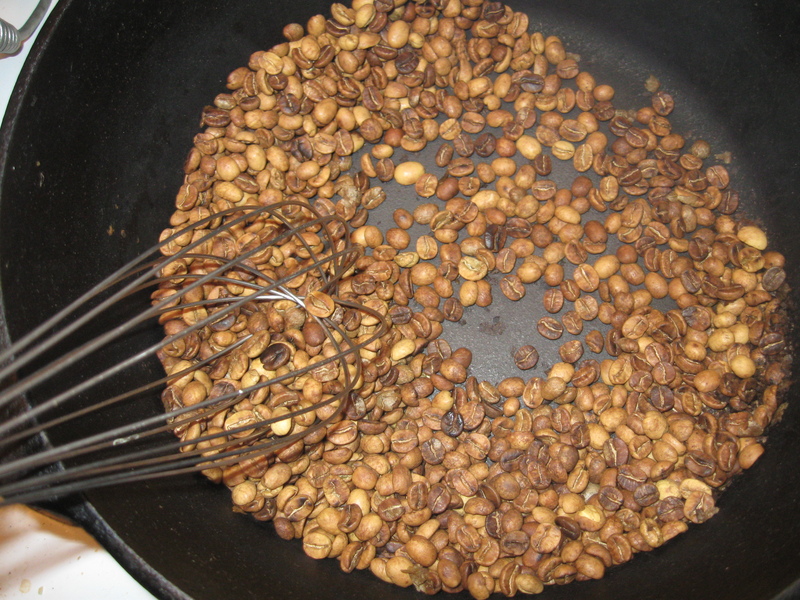 Now it was time to roast some coffee. This was right after I had my oven set to medium and I added the beans. The total process should take no longer than 20 minutes. You can see the beans starting to turn color. This was about 12 minutes into the roast. I was starting to get a little concerned as I was not at the first crack. 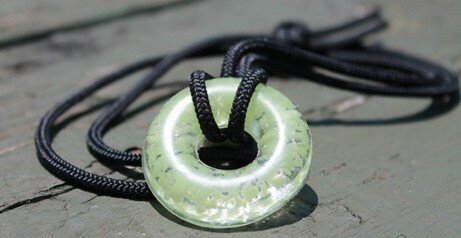 The first crack which is the point where the water and carbon dioxide fracture. I did not hear the sounds of any popping. I pulled the roast off at the 19 minute mark due to time. I believe that the temperature was not high enough. The interesting thing is that the coffee brewed from it was a very good cup of brew. This ensured me the home roasting coffee was going to pay off. I believe my first attempt was better than the coffee I have been drinking. 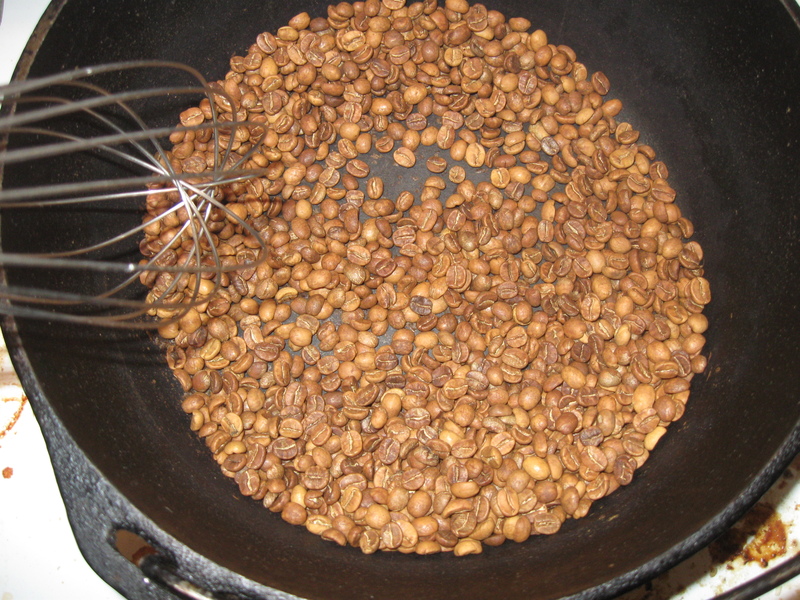 An analysis of home roasting coffee led me to believe that I did not have the temperature set high enough. 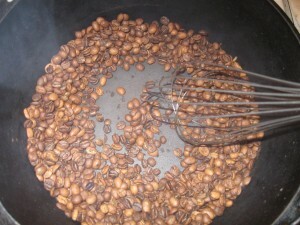 The second time I tried home roasting coffee I reviewed the article on how to Pan Roast Coffee and paid particular attention to the 9 minute pan warm-up time. I had the temperature in my skillet at the 9 minute mark. I felt much better about the roast already. I could tell the difference in this roast immediately. As good as the first cup from the 1st roast was I could not wait for this brew. We have the first crack. The sound very similar to popcorn popping for those that still pop popcorn the right way. We have a full first crack going. 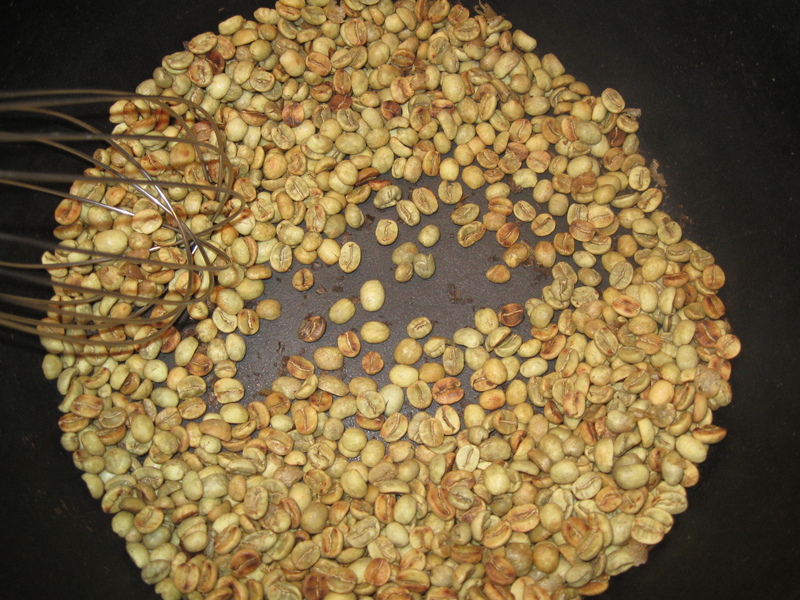 You can even see some well roasted beans. At this point there was a fair amount of smoke rolling. I pulled the roast at the 8 minutes 51 seconds for this roast. This is a little fast, but I feel much better on this roast. I think my stove needs to set in between medium and medium-high. 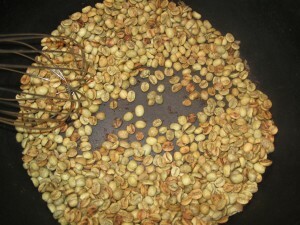 After two times of home roasting coffee I am very happy. 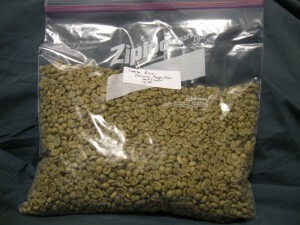 The coffee that I had from the second roast was very good with a lot of flavor. This will be a long term enjoyment for me. I also like the idea of having the best coffee available even if I lose power. Pingback: 3 things that you can use as Preppers drink before or after any event! Pingback: Don't get caught sacrificing quality for convenience as it will bite!